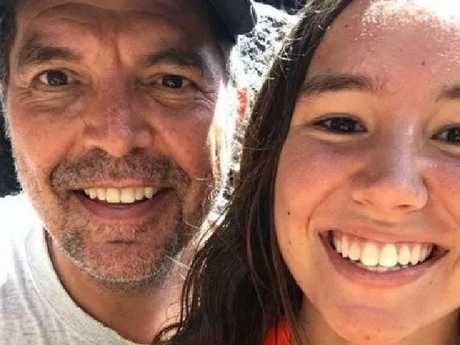 US student Mollie Tibbetts was found dead after going missing for five weeks. IT WAS the evening jog that turned in to a nightmare. 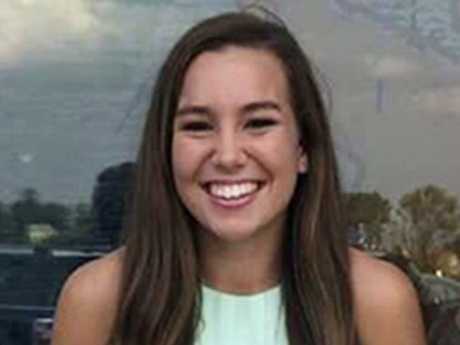 Last seen by neighbours in her hometown of Brooklyn in the US state of Iowa, Mollie Tibbetts was a keen runner who'd - like most days - set off on her evening jog through the small community of less than 2000 people. There was nothing out of the ordinary about this run on July 18, except that this time, Mollie would never return home. 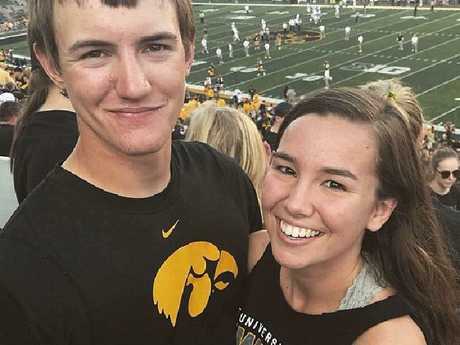 Mollie Tibbetts was last seen out jogging on July 18. When the 20-year-old sophomore from the University of Iowa failed to show up for work the next morning, concerned colleagues reached out to her boyfriend of two years, Dalton Jack, for answers. But he too hadn't heard from his girlfriend, who he'd texted "good morning" to - but received no reply. Contacting her family, they decided to report Mollie as missing with local police. Within days, her disappearance set off a massive investigation and weeks of fruitless searches. Volunteers of people scoured the rural county, searching for anything that may lead to the college student. But five days later, the FBI and state investigators called off community efforts in the area and took over the investigation. The last time her boyfriend saw Mollie, according to Fox News, was two days before she went missing. Leaving home at 5am on July 16, he drove to his construction job about 80km away. Mollie stayed home to look after his dogs while he was away. On the day Mollie went for her final run, Mr Dalton said he received two texts from his girlfriend on the evening of her disappearance. 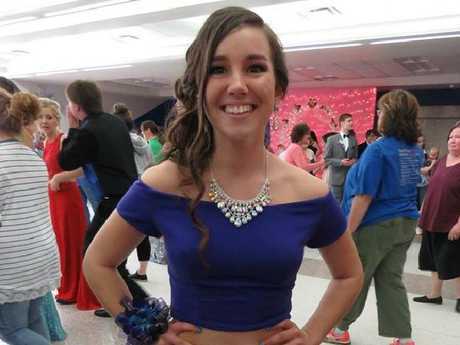 Speaking to television station KCRG, he said one was a text message sent at 7pm and the other a Snapchat selfie that appeared to have been taken indoors after she would have returned from her jog. Mr Jack said he opened the Snapchat photo at 10pm, although it is not clear what time it was sent. At first, Mr Jack was a suspect, but soon both he and his brother Blake were cleared by police. 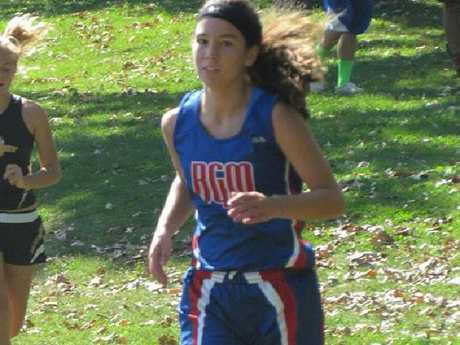 Mollie Tibbetts was a keen runner. Growing up in Oakland where she went to primary school, Mollie moved to Brooklyn in her adolescent years. Mollie was the middle child of Rob Tibbetts, who lives in California, and Laura Calderwood, who lives in Brooklyn, and had an older brother, Jake, and a younger brother, Scott. Mollie Tibbetts went missing on July 18. Picture: Iowa Department of Criminal Investigation via AP, File. No stone was left unturned during the dramatic search for "sweet girl" Mollie. Posters, T-shirts and badges were handed out as national media began to descend on the small town of Brooklyn. Before long, more than $US385,000 was raised for a reward for her safe return - the biggest figure that Crime Stoppers of Central Iowa has ever collected. On July 26, Mitch Mortvedt, a spokesman for the Iowa Division of Criminal Investigation told local news that more than a dozen agents from his group and the FBI had been conducting searches of several properties in Iowa, including a pig farm, but nothing had been found. The next day, police received a tip off they thought might finally lead them to Mollie. The call, made to Pella Police, raised concern over a suspicious man taking photos of female joggers from a parked car, according to Fox News. "As covertly as he possibly could, took photos of them unbeknown to them, it seemed to be very creepy," Pella Police Chief Robert Bokinsky tells WHOTV. 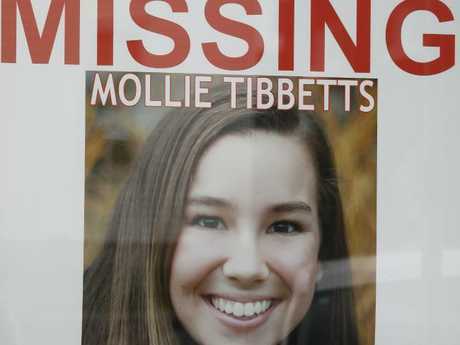 The man was cleared after turning himself in several days later, with Investigator Kevin Winker declaring that officials were following up every tip that came in about Mollie. It was at this stage of the investigation that authorities told media her disappearance was "not consistent" with her personality, and they did not believe she had run away. On the first day of August, Mollie's father did an interview with Fox News pleading with the public to come forward with any information about his missing daughter. "The bottom line is somebody knows something," Rob said, adding Brooklyn is a small city and "you can't do anything there without someone seeing it". Local pig farmer Wayne Cheney was questioned early in the investigation. 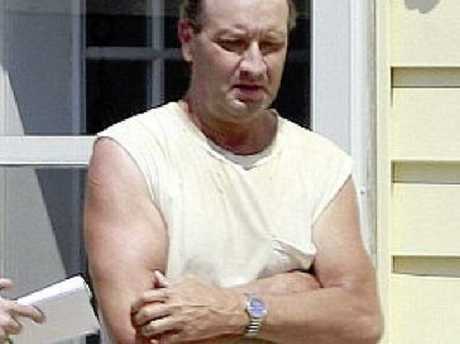 A local pig farmer, Wayne Cheney, soon became a person of interest with police. Mr Cheney, who had reportedly pleaded guilty in two previous stalking cases, was reportedly questioned on multiple occasions by police and had his farm searched after police found a red T-shirt that was similar to one owned by Mollie near his property. Authorities held his mobile phone overnight, checking it for any clues or communications regarding the missing woman. But as the days rolled by, authorities admitted they were no closer to finding Mollie. "Although we appreciated everyone that showed up today to this press conference, our position has not changed on the release of case facts, results and conclusions," Winker said at a press conference on August 3. "I understand this is frustrating for many in the public and the media, but feel this is necessary for our investigation. "As far as suspects go, we continue to look at all possibilities. I'm not in a position right now to say, we have suspects, we don't have suspects, persons of interest or anything else." But it was on this day that he declared authorities were handling the case as a "missing persons investigation". A poster for missing University of Iowa student Mollie Tibbetts hangs in the window of a local business. Picture: AP Photo/Charlie Neibergall. Two days following the press conference, a woman's body was discovered one hour southeast of Brooklyn. However, state police soon revealed it was not Mollie. Following the discovery of the body, Mr Tibbetts said he still believes his daughter is alive and perhaps with someone that she knows. "It's totally speculation on my part, but I think Mollie is with someone that she knows, that is in over their head," he told Fox News "That there was some kind of misunderstanding about the nature of their relationship and at this point they don't know how to get out from under this." By August 9, more than 830 tips to authorities had come through. Iowa resident Devin Riley told ABC News he may have been the last person to see Mollie - as she ran by his home on the evening of July 18. 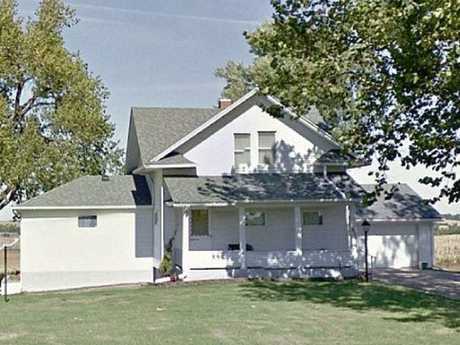 Mollie Tibbetts’ home in Brooklyn, Iowa. "I've seen her probably three to four times per week," he explains. "She'd kind of jog down the street and towards the hill. I thought nothing of it until I heard somebody was missing, and it really hit me that I hadn't seen that runner since then." 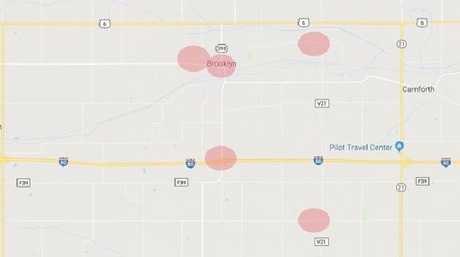 The following week, authorities announced they'd focused their investigation on five areas in and near Tibbetts' hometown. Those locations reportedly included her boyfriend's home in Brooklyn, a car wash, a truck stop, a farm more than 4km from downtown Brooklyn, and another farm more than 9km away. But on August 21, the search came to a grim end. Mollie's body was found, covered in corn stalks in a field, with multiple wounds to her corpse. The man accused, Cristhian Rivera, worked on a nearby farm and was charged with her murder. Funeral details for Mollie Tibbetts have been announced as her family pleads for her death not to "get lost among politics". The slain Iowa college student's funeral will be held on Sunday at the high school in her hometown of Brooklyn, Iowa. Instead of flowers, mourners are being asked to make memorial contributions to the University of Iowa Stead (STED) Family Children's hospital. "I don't want Mollie's memory to get lost among politics," the 20-year-old's aunt, Billie Jo Calderwood, told CNN after her body was recovered on Tuesday. 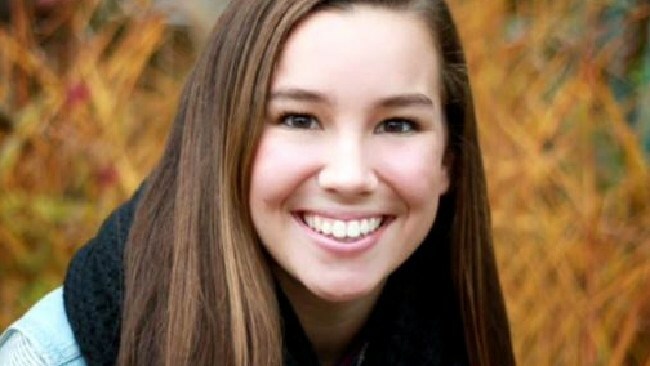 As details surrounding her horrific murder continue to come to light, the Trump administration and its supporters have claimed that Tibbetts' death could have been prevented with the implementation of US President Trump's hard line immigration agenda. During a press conference on Wednesday, White House Press Secretary Sarah Sanders called Tibbetts' death "an unfortunate reminder of why we need to strengthen our immigration laws." While authorities say Mr Rivera is in the country illegally, his lawyer, Allan Richards, insists that his client "has the legal documents" proving he is not. Mr Richards also lashed out at Mr Trump for publicly declaring his client guilty within hours of his arrest. "Sad and Sorry Trump has weighed in on this matter in national media which will poison the entire possible pool of jury members," Mr Richards wrote in a court filing. Using the face of Mollie Tibbetts, who he called a "beautiful young girl", Mr Trump has sought to underscore the urgency of his message of putting Americans first. "She was killed by a horrible person that came in from Mexico, illegally here," the president said. "A person came in from Mexico illegally and killed her," he added in a video posted to Twitter. "We need the wall, we need our immigration laws changed, we need our border laws changed. "We need Republicans to do it because the Democrats aren't going to do it." However Tibbetts' aunt also spoke out to remind everyone that "evil comes in every colour," begging people not to politicise her murder for racist ends. "Our family has been blessed to be surrounded by love, friendship and support throughout this entire ordeal by friends from all different nations and races," Ms Calderwood posted to Facebook just hours after her niece's remains were reported found following her mong-long disappearance. During the time Ms Tibbetts was missing, her boyfriend spoke out to the media, describing her as "the sweetest, kindest most caring person that I've ever met in my life." According to the Associated Press, police first became aware of Mr Rivera after he was seen in surveillance video turned over to police by a neighbour. Investigators say the video shows him following Mollie before she disappeared. The accused, Cristhian Rivera and Mollie Tibbetts. After his arrest, Mr Rivera allegedly told investigators he approached Mollie, running behind and alongside her. The suspect told police he remembers her pulling out her phone, telling him she would call police if he did not leave her alone. Her response made him "mad", but then he claims to have "blocked" his memory, which he often does when upset. Following his arrest, the Mexican immigrant claimed he did not recall what happened but found an earpiece from headphones in his lap and realised he'd put Tibbetts in the boot of his car. He opened the boot and noticed blood on the side of her head. 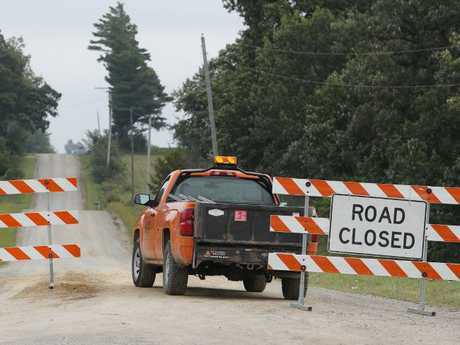 A county truck blocks a gravel road near Brooklyn, Iowa. Picture: AP Photo/Charlie Neibergall. In court, authorities say Mollie was found in the early morning hours after Mr Rivera acted as a guide for investigators, leading them straight to her body. The affidavit said he carried Mollie's body to a cornfield and covered her with corn stalks, and a preliminary autopsy report found that she died from "multiple sharp force injuries". According to the New York Post, Mr Rivera was an "employee in good standing" at Yarrabee Farms. But according to his employers, the man reportedly worked at a dairy farm under a completely different name. 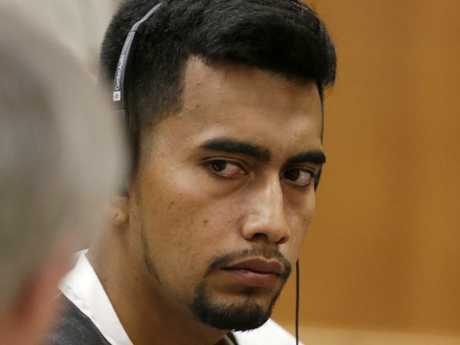 Cristhian Rivera is charged with first-degree murder in the death of Mollie Tibbetts. Picture: Jim Slosiarek/The Gazette via AP, Pool. Working for the farm for four years, the U.S. Department of Homeland Security said Mr Rivera is undocumented and has been living in the United States between four and seven years, according to ABC America. Following his arrest, Mollie's family released a statement, expressing their thanks to "all of those from around the world who have sent their thoughts and prayers for our girl." The family said their hearts are broken, and that they endeavour to carry Mollie in their hearts forever. 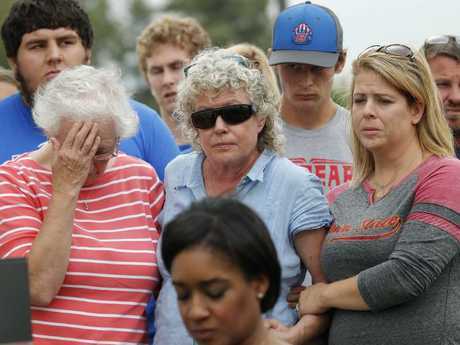 Friends and family of missing University of Iowa student Mollie Tibbetts react during a news conference. Picture: AP Photo/Charlie Neibergall. Mr Rivera, who is a father to a three-year-old daughter, told authorities he had seen Mollie previously, but has no criminal history in Iowa, according to AP. Following his arrest, Mr Rivera did not enter a plea during his court appearance on Wednesday. His "cash-only" bond was set at $5 million. According to Fox News, if he is convicted, the maximum penalty for the murder charge is a sentence of life in prison without the possibility of parole. His preliminary hearing will be August 31.